Blenders – they are one of least remarkable items out there. However, a series of catchy videos produced by Blendtec generated millions of views. How does this happen? How can you get your content to go viral? Is it by chance or is there a science to it? 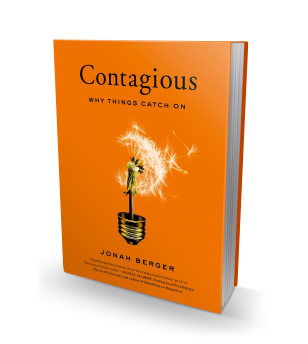 Professor Jonah Berger, author of the best-selling book Contagious, has researched this topic and introduced a framework about why things catch on. He shares this framework on episode 4 of FIR on Higher Education and discusses how he applied his own ideas in marketing and selling his book. His insights apply to communicators and thought leaders on how they can most effectively promote their ideas.